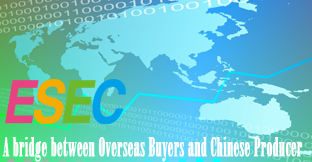 ChemLinked is an exciting unique portal for the chemical industry that focuses on regulatory issues in China. It provides regulatory news & event updates, expert articles, compliance guidance and regulatory and chemical inventory databases as well as off-line compliance guidance. 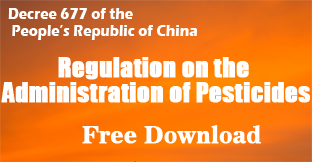 Together these tools will keep you continually updated with chemical regulatory issues in China and assist you to manage your responsibilities under China's chemical legislature. Profile Information. Once you post your comments on ChemLinked such as Database or Expert Articles, etc., you name will be accessible to the public. Expert Articles. You can also write your expert articles on any issues or topics related to chemical regulations and share with other members or send to our editorial team. Once accepted, your article will be published on ChemLinked website, newsletter, monthly e-publications with a remuneration rewarded. We do not rent, sell, or otherwise provide your personally identifiable information to third parties without your consent, except as described in this policy or as required by law. We do not share any information you have not chosen to display on your ChemLinked profile to other parties, unless compelled by law, or as necessary to enforce our User Agreement or protect the rights, property, or personal safety of ChemLinked, its Users, and the public. All information that you provide will be protected with industry standard protocols and technology. Please read this policy and send us questions, concerns and suggestions here. How ChemLinked uses your information. Your obligations as a User. Important information regarding service eligibility. In order to become a User, you must provide us the following information to create an account: name, email address, country, and password. Without this minimal amount of information, you cannot create a ChemLinked account. Like other passwords, you should choose one that is known only by you. ChemLinked requests other information from you during the registration process, (e.g. location, title, etc.) that ChemLinked uses to provide better, more customized services. You acknowledge that this information is personal to you, and by creating an account on ChemLinked, you allow others, including ChemLinked, to identify you and to allow ChemLinked to use your information in accordance with our User Agreement. We collect information when you interact with ChemLinked’s helpdesk in order to accurately categorize and respond to customer inquiries and investigate breaches of our terms. In the course of serving advertisements or optimizing the Services to our Users, we may allow authorized third parties to place or recognize a unique cookie on your browser. Any information provided to third parties through cookies will not be personally identifiable but may provide general segment information (e.g., your industry or geography, career field, or information about your professional or educational background) for the enhancement of your user experience by providing more relevant advertising. Most browsers are initially set up to accept cookies, but you can reset your browser to refuse all cookies or to indicate when a cookie is being sent. ChemLinked does not store unencrypted personally identifiable information in the cookies. Due to the communications standards on the internet, when you visit the ChemLinked website we automatically receive the URL of the site from which you came and the site to which you are going when you leave ChemLinked. Additionally, advertisers receive the URL of the page you were on when you click on an ad on ChemLinked. ChemLinked also receives the internet protocol (“IP”) address of your computer (or the proxy server you use to access the World Wide Web), your computer operating system and type of web browser you are using, email patterns, your mobile device (including your UDID). ChemLinked may also receive location data passed to it from third-party services or GPS-enabled devices that you have enabled. Also, as described above in Sections 1.3. and 1.4., The link between your IP address and your personally identifiable information is not shared with third parties without your permission, except as described in Section 2.9 (“Compliance with Legal Process”), below. You have a right to access, modify, correct and eliminate the data you supplied to ChemLinked. If you update any of your information, we may keep a copy of the information that you originally provided to us in our archives for uses documented in this policy. You may request deletion of your information at any time by contacting ChemLinked customer service. We will respond to your request within 30 days. Please note, however that information you have shared with others, or that other Users have copied, may also remain visible even if you request its deletion. ChemLinked will retain your information for so long as your account is active or as needed to provide you services, except in the case of our professional plugin impression data, which we de-identify after 12 months. If you wish to close your account, you may do so here. We will retain and use your information as necessary to comply with our legal obligations, resolve disputes, and enforce this Agreement. As described in the User Agreement, we will communicate with you through email, notices posted on the ChemLinked website, or through other means available through the service, including mobile text messages. We may send you a series of emails that help inform new Users about the features of the Services, and we will also send you service messages relating to the functioning of the Services. We may also send you messages with promotional information directly or on behalf of our partners, unless you have opted out of receiving promotional information. You can change your e-mail and contact preferences at any time by logging into your account. If you wish, you can also opt-out of receiving promotional emails by sending a request to ChemLinked customer service through our helpdesk. Please be aware that you cannot opt-out of receiving service messages from ChemLinked. Many communications you initiate through ChemLinked will list your name in the header of the message (e.g. an inquiry sent to the helpdesk or comments posted in Expert Article section). We use information you provide to us (or to third parties with whom ChemLinked offers combined services) to customize your experience on our website. ChemLinked takes the privacy of our Users very seriously, and we do not sell, rent, or otherwise provide your personally identifiable information to third parties, except as described in this policy. We will also not share other personal information not published to your profile or generated through engagement with other ChemLinked services without your explicit consent or to carry out your instructions (for example, to process payment information) unless, disclosure is reasonably necessary in our opinion to: (1) comply with legal process, including, but not limited to, civil and criminal subpoenas, court orders or other compulsory disclosures; (2) enforce this Agreement; (3) respond to claims of a violation of the rights of third parties, whether or not the third party is a User, individual, or government agency; (4) respond to customer service inquiries; or (5) protect the rights, property, or personal safety of ChemLinked, our Users or the public. Content distributed through ChemLinked’s sharing features and third party integrations may result in displaying some of your information outside of ChemLinked. For example, when you post content to a ChemLinked that is open for public discussion, your content, including your name as the contributor, may be displayed in search engine results. We may provide aggregated anonymous data about the usage of the Services to third parties for purposes that we deem, in our sole discretion, to be appropriate, including to prospective advertisers on ChemLinked. Polls and Surveys may be conducted by ChemLinked, ChemLinked Users or third parties. As a User, you may be invited to participate in polls and surveys from the ChemLinked website. Your selection may be random, or it may be based on your non-personally identifiable information, such as job title, geography, company size and/or industry. Whether or not you decide to participate in a poll or survey is completely up to you. We may use third parties to deliver incentives to you to participate in surveys or polls. If the delivery of incentives requires your contact information, you may be asked to provide personally identifiable information to the third party fulfilling the incentive offer, which will only be used for the purpose of delivering incentives and/or verifying your contact information. It is up to you whether you provide this information, or whether you desire to take advantage of an incentive. We will not disclose any personally identifiable information to any third parties in connection with the conduct of any polls or surveys. Your consent to use any personally identifiable information for the purposes set forth in the poll or survey will be explicitly requested by the party conducting it. If you post commnents on ChemLinked (expert articles or regulatory/inventory database sections, etc), you should be aware that any personally identifiable information you choose to provide there can be read, collected, or used by other Users of these forums, as well as Platform Developers and other third parties, and could be used to send you unsolicited messages. ChemLinked is not responsible for the information you choose to submit in these forums. Also, some content in ChemLinked may be public and searchable on the internet. You can delete your posts on ChemLinked at any time. However, please note that ideas you post and information you share may be seen and used by other Users, and ChemLinked cannot guarantee that other Users have not made copies of or use the ideas and information that you share with others on ChemLinked. If you provide any testimonials about the ChemLinked Services or place advertisements through the ChemLinked Ads, we may post those testimonials and examples of advertisements you place in connection with our promotion of these services to third parties. Testimonials and advertisements may include your name and other personal information that you have provided. It is possible that we may need to disclose personal information, profile information and/or information about your activities as a ChemLinked User when required by subpoena or other legal process, or if ChemLinked has a good faith belief that disclosure is necessary to (a) investigate, prevent or take action regarding suspected or actual illegal activities or to assist government enforcement agencies; (b) to enforce the User Agreement, to investigate and defend ourselves against any third party claims or allegations, or to protect the security or integrity of our site; and/or (c) to exercise or protect the rights, property or personal safety of ChemLinked, our Users, employees, or others. We may also disclose your personal information and other information you provide to another third party as part of a sale of the assets of ChemLinked, a subsidiary or division, or as the result of a change in control of the company. Any third party to which ChemLinked transfers or sells ChemLinked’s assets will have the right to continue to use the personal and other information that you provide to us. You can review the personal information you provided to us and make any desired changes to the information you publish, at any time by logging in to your account on the ChemLinked website. Please be aware that even after your request for a change is processed, ChemLinked may, for a time, retain residual information about you in its backup and/or archival copies of its database. You can close your account through the ChemLinked customer service site. If you close your ChemLinked account, we will remove your name and other personally identifiable information from our publicly viewable database. If you close your account, we have no obligation to retain your information, and may delete any or all of your account information without liability. Some information you have shared with others, or that other Users have copied, may also remain visible. ChemLinked disclaims any liability in relation to the deletion or retention (subject to the terms herein) of information or any obligation not to delete the information. ChemLinked does not control when search engines update their cache, which may contain certain public profile information that has since been removed from ChemLinked’s publicly viewable database. If we learn that a User is deceased, we may memorialize the User’s account. In these cases we may restrict profile access, remove messaging functionality, and close an account if we receive a formal request from the User’s next of kin or other proper legal request to do so. You must not download or otherwise disseminate any information that may be deemed to be injurious, violent, offensive, racist or xenophobic, or which may otherwise violate the purpose and spirit of ChemLinked and its community of Users. You must not provide to ChemLinked and/or other Users information that you believe might be injurious or detrimental to your person or to your professional or social status. Any violation of these guidelines may lead to the restriction, suspension or termination of your account at the sole discretion of ChemLinked. Children under the age of 18 are not eligible to use our service. Using the ChemLinked Services after a notice of changes has been sent to you or published on our site shall constitute consent to the changed terms or practices. In order to help secure your personal information, access to your data on ChemLinked is password-protected, and sensitive data is protected by SSL encryption when it is exchanged between your web browser and the ChemLinked website. To protect any data you store on our servers, ChemLinked also regularly audits its system for possible vulnerabilities and attacks. However, since the internet is not a 100% secure environment, we cannot ensure or warrant the security of any information you transmit to ChemLinked. There is no guarantee that information may not be accessed, disclosed, altered, or destroyed by breach of any of our physical, technical, or managerial safeguards. It is your responsibility to protect the security of your login information. Please note that emails, instant messaging, and similar means of communication with other Users of ChemLinked are not encrypted, and we strongly advise you not to communicate any confidential information through these means.